Ubiquitously active general Cre deleter. This transgene is suspected to be homozygous lethal. Maternal expression of Cre often leads to deletion of loxP flanked target genes in Cre-negative embryos. This model replaces model 6467. Model 12524 is fully congenic on C57BL/6NTac. The Cre Deleter mouse was developed by Artemis Pharmaceuticals (now Taconic). The mutant was created by a targeted mutation knock in of Cre into the Gt(ROSA)26 locus. Cre is expressed under the control of the Gt(ROSA)26Sor gene. Additional sequence elements are adenovirus major late transcript splice acceptor sequence from the intron 1/exon2 boundary situated 5´ and FLP recombinase target (FRT) sequences (Saccharomyces cerevisiae) situated 3´ of Cre. Targeting occurred in C57BL/6N ES cells. 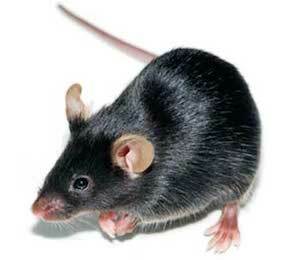 The colony is maintained by breeding heterozygotes to wild type C57BL/6NTac mice. Otto C, Fuchs I, Kauselmann G, Kern H, Zevnik B, Andreasen P, Schwarz G, Altmann H, Klewer M, Schoor M, Vonk R, Fritzemeier KH. (2009) GPR30 does not mediate estrogenic responses in reproductive organs in mice. Biol Reprod 80(1):34-41. A fee-bearing agreement is required prior to purchase of this line. See the licensing section for more information. Access to this model requires execution of a Cre Deleter Crossbreeding Agreement. There are two types of agreements, a one-time license which permits a single crossbreeding event to a specific mouse line or a broad license which permits crossbreeding to an unlimited number of lines during the term. Once the agreement is executed, you may order mice for use in crossbreeding. Please contact Taconic Customer Service for details. GPR30 does not mediate estrogenic responses in reproductive organs in mice.